Although social media marketing comes out as the new harbinger for lead generation and targeting, the competition to land in the inbox for attention remains unaffected. An Email is 40 times more effective at acquiring new customers than Facebook or Twitter. Not just this on an average an email receives almost 30 times return on investment. With more than 1.5 billion active Gmail users worldwide, Google provides a more granular targeting for marketers allowing them to directly land on the inbox with promotions. Email marketing is very crucial when it comes to targeting a specific audience. You must have seen those yellow tag emails on top of your listing in your social or promotions tab. Well, those are sponsored promotions. A GSP primarily consists of 2 creative elements – a teaser (subject) and an expanded ad unit. When a user clicks on the collapsed ad, they expand into a full-screen advertisement (called expanded ads). The expanded ads are very similar to an actual mail including images, videos, or embedded forms containing promotional content. 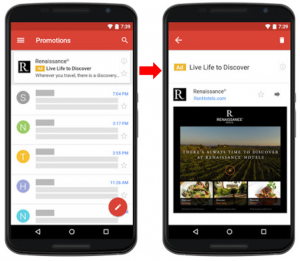 Gmail ads help advertisers connect with potential customers in a more personal format. An advertiser is charged on the cost per click basis should a user expand a collapsed ad. After that, there is no cost inferred on any number of clicks on an expanded ad. How Targeting Works in Gmail Sponsored Promotions Work? 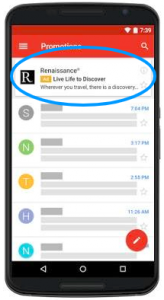 Though Gmail ads are primarily part of Google Display Network, targeting inside the Gmail works differently. Advertisers can reach their target audience based on data about those customers from Google. It can be divided into demographics, life events, keywords, interests, affinity (reach through relevant topics). The data gathered is from various Google Apps. While you can use display targeting options available to you, those are not the only ways to reach out. Automated targeting: Advertisers can reach their target audience across Gmail letting you reach people your targeting wouldn’t otherwise reach around the same cost. 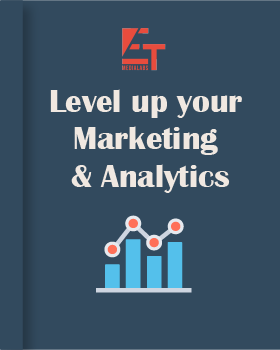 In-market audiences: Advertisers can reach their target audience which is looking for similar products and actively considering buying a service or product like yours. Remarketing: Advertisers can reach their target those who’ve already engaged with their products and services. The possible target audience can be a past visitor to the website, mobile app, videos. Gmail ads remarketing list must have a minimum of 1,000 active visitors or users within the last 30 days of ads to show. Since the user’s first interaction is through headlines, they are an important part and only the right headlines can increase your CTR. Make the headline more like an email subject line. While the cost incurred is only per click on collapsed ads, to keep up with quality ads, Google follows a quality score. Ad creatives are important. Remember to add relevant images or videos. After all, good ad creatives will fetch users to your website. As for any campaign, regularly update your creatives and audiences for some good performance. Scroll down to know the specifications of the ad creatives. Ad creatives are important. Remember to add relevant images or videos. After all, good ad creatives will fetch users to your website. As for any campaign, regularly update your creatives and audiences for some good performance. Scroll down to know the specifications of the ad creatives. 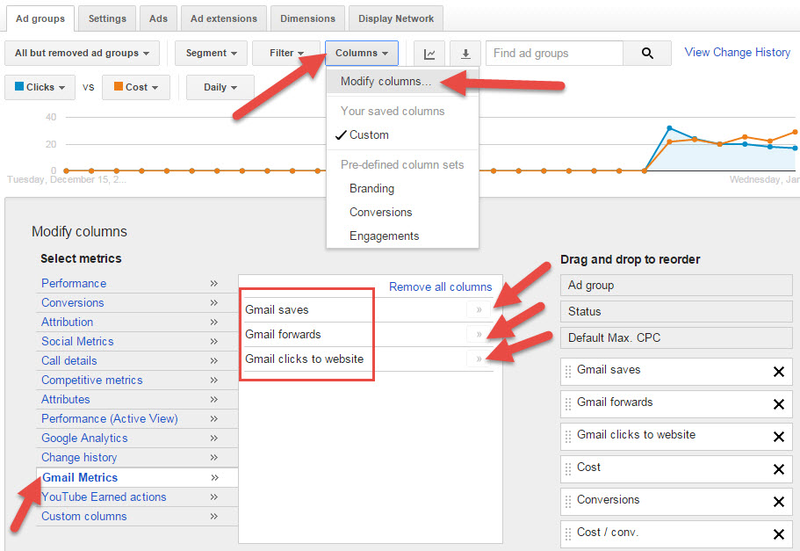 Gmail saves, Gmail forwards and Gmail click to the website are the three metrics to analyze the effectiveness of your Gmail ads. Total clicks are not a reliable source since it also includes bounced users. Let AdWords scan your website and pull content that is eligible to show in your ads. A custom HTML Gmail Ad is a ZIP folder that contains all the files for your collapsed and expanded ad. Custom HTML is an easy and better way to make lucrative ads. It lets you create ads differently from an existing Gmail ad template. These ads can include video and multiple calls-to-action. Logo image specifications: The file must be named exactly “logo.png,” “logo.jpg,” or “logo.gif” and the file format must be PNG, JPG, or GIF. Text file specifications: The file must be named exactly “teaser.txt” and the file format must be TXT. Your ad must contain at least 1 image and can contain up to 100 images. To embed videos in your expanded ad, jump to the video section below. Checking email is a complementary activity. People do it all the time, and this is what makes email marketing an important channel. When it comes to GSP, they are comparatively cheaper and with the right content and techniques, it can be very effective and efficient. We help you extract maximum returns on your ad spend with our tools. Connect with our experts today or request a quote!